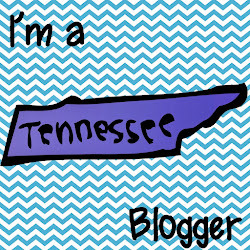 A Rocky Top Teacher: Do You Flocabulary? This time last year, I was a fifth year teacher who had just moved from second grade to fifth grade. Everything, from the content to the new age of my students, made me feel like a brand-new, first year teacher all over again. I was clinging to the advice of my colleagues and social media teacher connections to help me get my feet set on the ground in my new role as a 5th grade ELA and Social Studies teacher. One night, I was participating in a Twitter chat when someone shared about a cool technology tool that they were using in their classroom to help share content in an interesting way. The amazing tech tool was Flocabulary. This time last year, I had never heard of Flocabulary and now I don’t know what I would do without it! If you are not familiar with what Flocabulary is, you can check out a post here. I am just so excited about how this amazing resource has transformed our classroom, and I want to share these ideas and information with you. Flocabulary has over 750 videos. Folks, that is a lot of amazing content that can cover pretty much any topic you can think of! We use the videos to work on Point of View, Main Idea, Complex Sentences, The Civil War, The Gilded Age, Weekly Current Events…..and so, so much more. We like to put movements to the videos to help us attach even more meaning to the videos and the educational content found within the raps. Here is a quick clip of our Point of View rap. I LOVE how students remember the lyrics and are able to apply the information gained from these videos! One of our favorite lessons this year was when my students used the Flocabulary Lyric Lab to help them write their own rap about pronouns. The students were AMAZING and truly created the rap on their own! I was such a proud teacher. Here is a quick clip of one of my kiddos performing the rap. I love that I can take what we have learned in class and extend that learning with the resources provided in the Flocabulary resources tab. They also have an amazing Pinterest page where teachers can find amazing ideas on how to implement Flocabulary into the classroom. They have a Lesson Resources page for implementation ideas per subject and ideas on Pinterest ( elementary and middle and high school)! Interested in some of the features that I just mentioned? Check out more information below by clicking on the link. 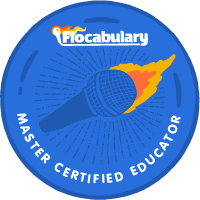 Still looking for more information on how to start your Flocabulary journey? Their "How To" page is a great starting place! It includes a self-guided training presentation as well as a short tutorial video about getting started with Flocabulary. SO, ready for an amazing giveaway? Just fill out the form below and 3 amazing teachers will win a year subscription to Flocabulary. EVERYONE that enters will win a 45 day free trial! You must must enter by October 16th at 11:59ET. 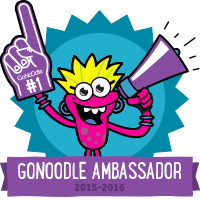 Flocabulary will announce the three winners from each blog on October 18th. That week, they will also email all entrants your access to the special 45-day school-wide free trials to Flocabulary. Many teacher use different form of techniques for their need. The specified style for the education use latest form of working, the style attracts any one for bets out come. The result always makes best changes for accuracy working.